Specify the voucher amount below (in Rand) in which you will be gifting. You may specify the recipient of the gift voucher during checkout. Delivery – How long will it take? Do you have a collection point? Gift vouchers are only exchangeable for products and may not be redeemed for cash. Gift vouchers are valid for three years from date of issue. Prices are inclusive of VAT and are subject to change. No cash change will be given. Please safeguard your gift voucher once received. Should you lose/misplace your gift voucher/voucher code, you may confirm the details of your gift voucher by logging into your account here. 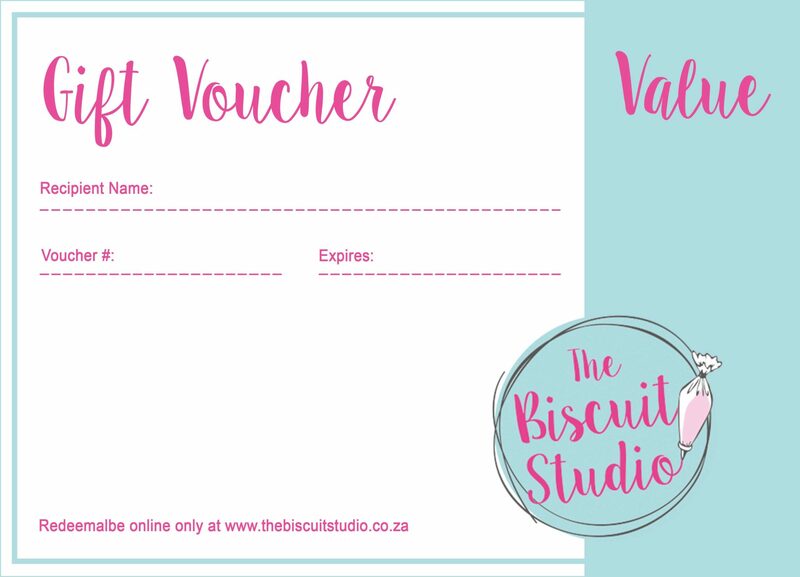 The gift voucher is only valid for purchases made on The Biscuit Studio website. Gift vouchers purchased are non-refundable. Copyright © The Biscuit Studio. 2019. Website design and hosting by Temple | Wisdom Online. You may exchange any of our products in their new, unopened condition within 30 days of delivery for a different item, voucher or full refund. If you have had a change of heart about the items you purchased we are happy to exchange them, we will only ask for you to cover the courier expenses to and from us to you. If we have sent you the wrong items by mistake, we are more than happy to exchange the items in their new, unopened condition with no courier expense from you. When placing an order please supply a physical address where someone will be available to accept the parcel during normal business hours. If we receive an order by 12h00 noon, we can usually send the parcel out for overnight delivery so that you receive it the following working day, provided that you are in a major centre. This applies to orders received Monday to Thursday. All orders placed on a Friday will only be delivered on the following Monday as the couriers do not deliver on Saturdays. The closing time for orders on a Friday is 11h00. 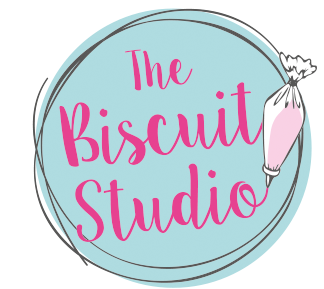 If you are paying via EFT, please make sure that you send the proof of payment to info@thebiscuitstudio.co.za as soon as possible to help speed up the process of your order. Make sure you put your name and order number as a reference. Free delivery applies to purchases over R400 and / or if a special is running.